For the past 30 years, Roy has been an influential person in hockey. 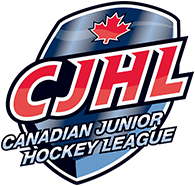 He is the founder and President of Global Hockey Camps & Clinics, a company that operates some of the largest hockey scouting camps in North America. His hockey background includes time as a scout for the Philadelphia Flyers, General Manager of the Langley Thunder, General Manager of the New Westminster Royals, Director of Player Personnel for the New Westminster Bruins, and much more.Outside of hockey, Roy and his family (Janet – wife, two sons – Bobby & Taylor) can be found either with their dogs or on a golf course. For the past 40 years, John has been a member of the Canadian Institute of Chartered Accountants and the BC Institute of Chartered Accountants while continuing his practice as a C.A. His client base ranges from small owner operated business’ to large corporations. He is currently a major partner in the accounting firm of HLB Cinnamon Jang Willoughby in Burnaby, B.C.For the past two years, John has served as a Director at the Burnaby Winter Club. He is also the Director and Treasurer of the Pacific Corridor Enterprise Council (PACE). John is an active member of the coaching ‘fraternity’ helping coach his eldest son Bert through the junior ranks before he embarked on a 13 year professional career. Taylor is a graduate of the B.C.I.T. Marketing Management program focusing on entrepreneurship and has A Bachelor of Business Administration. He is an avid golfer and holds a low, single digit handicap, while also enjoying fishing. Amanda comes to the Rivermen with 7 years’ experience in professional sports, working for the Abbotsford Heat, Vancouver Whitecaps and most recently the BC Lions. She is excited to work for a grassroots team that has a real opportunity to give back to the community. Amanda is married to the Head Coach and GM, Bobby Henderson. Bobby and Amanda have a daughter, Harper, who has spent a good part of her life in the rink. Karen started out in First Aid was she was 14 years old while training to be a lifeguard. After meeting her husband Norm and with his fire prevention background, her career evolved into a position as a Paid Call Firefighter and First Responder/CPR instructor with the Surrey Fire Department, where she worked as part of the emergency services team between 1990-2003. Form her experience in the fire department, Karen joined the BC Ambulance Service in 2002 after realizing that Paramedics do much more than just deliver patients to hospital. Eleven years in the BC Ambulance Service, Karen has continued to add new skills and has taught, lead and mentored new staff. Karen is excited to be supporting her local team. 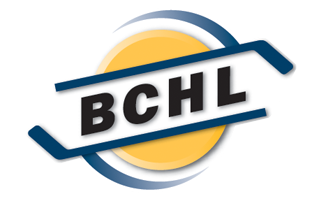 Rosco was the first Educational Advisor in the BCHL. His duties include overseeing all educational activities the players take part in, whether it be applying for post-secondary schools, or aligning the high school-aged players with the local secondary school. Ross is also an NCAA Policy Advisor not only to hockey players but to all college bound Student Athletes who are in search of an NCAA Scholarship. Mike “The Boiler” Bordignon returns to the Rivermen organization after spending 3 years as the Play by Play voice with the Pacific Junior Hockey Leagues Mission City Outlaws. During his time there he had the chance to call 2 Championship series, 1 All Star game and the entire Cyclone Taylor Cup Junior B Provincial Tournament. Mike has been a part of Junior Hockey for 24 years in many capacities and brings a HUGE passion to the Junior game. Growing up singing in hockey arenas across the province, Cambree developed a passion for the the sport which led to her joining the Rivermen team. She is currently a student at the University of the Fraser Valley and is working towards a career in the sports industry. Whether it is facilitating the Stick to Reading Challenge, being out and about at local events, pumping up the crowds during home games, or working on game day operations, Cambree is excited about the opportunity to continue making the Langley Rivermen a community-oriented team.